It was understood (somehow) that the “King’s English” wasn’t an expression to be taken literally, but was meant as a pinnacle to which I should aspire. I think I did all right. 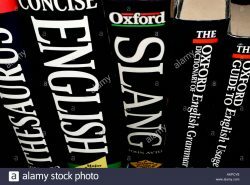 I don’t remember any specific suggestions for toning down slang in my high school years though she could easily have done so. I’m quite sure that when my mother was a teen, my grandmother must have monitored her usage along those lines, although I have only indirect evidence. 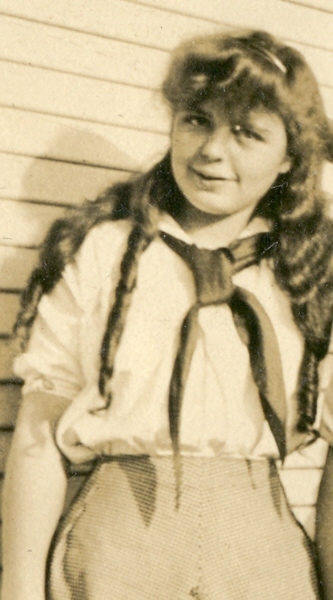 In a postscript to a letter written to her oldest daughter, Medora on September 25, 1914 my grandmother said: Please don’t use that word “rotten.” It is as vulgar and unladylike as gosh or other of the Amy Saves expressions. I spent a lot of time when I was writing my Dear Medora book trying to run down the “Amy Saves” reference, but couldn’t find it. I think it was probably the title of a book or magazine serial popular with teens of the time. All of those thoughts flew through my head this morning as I read of the false alarm concerning the shooter at Central Washington University. Once I had determined that everyone – including students I know from here – were safe, I scanned the reports to see what, exactly, had happened. What jumped off the page were the words of a student (unknown to me) who had been interviewed: It’s nerving, freaky. It’s just like spooked, like freaked to go to school tomorrow. My knee-jerk reaction was, “as, I’ve long contended, not everyone should go to college.” and immediately those “judge not that ye be not judged” words came galloping to mind. My belief that we should be providing many alternative options to our young people hasn’t changed. I’m just sorry that these horrendous circumstances are what triggered my thought. Mostly, I’m thankful that everyone is safe and am clapping and cheering for the efficient way campus authorities handled things. Times Change… or do they? 3125 Claremont Ave. Berkeley, Calif.
Monday morning we arrived. Grandpa, Eva, Ruth, Beulah, Uncle Sid and Uncle Bert met us. Clarence asked to call. Ha ha! San Francisco is the thriving bustling metropolis of old; the bay, the fog and wind are all the same. But as we rode through Oakland I could see the difference. Out here in Berkeley are many beautiful homes. 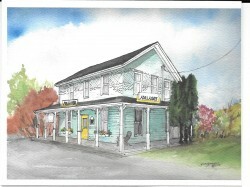 Aunt Maud’s is very attractive, every little detail is so perfect, and the whole house is very artistic. 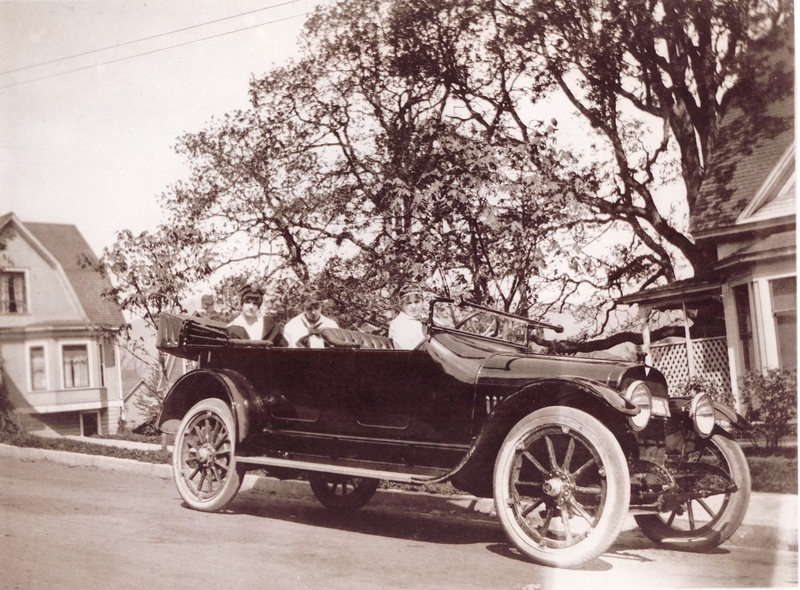 That 1915 summer vacation in California, long planned by the Espy family, was a coming-of-age trip for young Medora, my mother’s oldest sister. It was also to be her final visit to California. Little did she (or anyone) know that she would live only six months more, dying in her sleep of a cerebral hemorrhage on January 18, 1916, just two weeks after her seventeenth birthday. 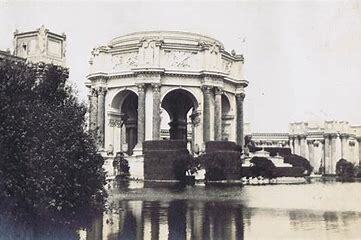 On June 30th 1915, though, and for the next two months, she and her five brothers and sisters would have the most memorable time of their young lives. We heard some disturbing – no, let’s say alarming – news yesterday about a killer dog on the rampage in Oysterville. Seriously. Apparently, it has run down and killed three deer in the area in the last week or so. One was witnessed by someone I know to be low-key, truthful, and not given to exaggeration. “Have the incidents been reported?” was our first question. Our informant didn’t know. “Whose dog was it?” we asked. Not one that is known in the area. “Was there anyone out and about? As in a frantic owner who had let the dog off its leash?” No one in sight. Apparently, the kill that was witnessed occurred out on the bayfront. 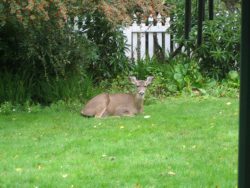 The deer was running north and the dog – “medium-sized tan” – was flat out behind. Took the deer down, killed it, and walked away from it. At least that’s what we were told. So… this is third-hand information. I don’t think it’s “fake news” but I don’t really know. I’m wary these days. Unless I’ve witnessed something myself, I’m not sure of the truth of the story. From my perspective, that’s not a comfortable position to be in. I certainly don’t want to discount such an ominous bit of information. 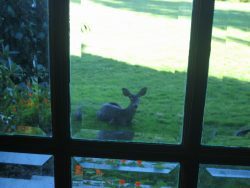 In my mind, a dog that would chase and kill a deer might well go after a child or maybe even a little old lady. Maybe. On the other hand, I don’t want to start disbelieving what someone I’ve know most of my life is saying. This whole disconnect from the truth thing has me a bit rattled. I don’t know how many of our country’s recent leader-appointees have lied under oath or parsed their words in order to ‘untether’ themselves from reality. More than a few. I certainly don’t want to think that the prevarication epidemic has spread clear to in Oysterville. As I say… it’s more than disturbing. Adelaide’s – where the action is! We often stop in at Adelaide’s for an afternoon coffee break. Sometimes it’s a dedicated trip for that purpose; sometimes we are ‘in the neighborhood’ doing errands in Ocean Park – maybe picking up a prescription at the pharmacy or getting a few needed items at Jack’s. But no matter when we stop in, our visit always seems enriched by more than coffee! A few weeks ago, for instance, there was a new display by the counter featuring a greeting card by our Oysterville neighbor, Jean Stamper. Adelaide’s carries a number of Jean’s cards – in fact, there’s a whole rack full – but this one is of Adelaide’s itself. And, like its subject, it is charming. Well worth a special display we thought. Yesterday we dropped in with a dual purpose in mind. Coffee, of course, and to pick up our tickets for this Saturday’s “Music in the Gardens 2014” Peninsula Garden Tour. The ‘tickets’ turn out to be a lovely brochure, complete with map and description of each of the ten gardens on display. Although we have talked to some of the musicians who will be playing, and we know a few of the folks whose gardens are listed, the majority of names are new to us. We are looking forward to hearing the music, meeting the gardeners and, perhaps, learning a few new tricks that we can apply to our own place. As I was giving Katie my coffee order – “the usual” – I was suddenly aware that Nyel was being embraced by an attractive woman who looked only vaguely familiar. Nyel re- introduced me to Kay Planting Porter (we had met once before years ago at Pauly’s Bistro) and she, in turn, introduced us to her family – her husband Ken, their two daughters ages 14 and 20, and Kay’s two sisters. Kay and Nyel had worked with at PCC in Seattle thirty-five years ago and had subsequently traveled to Europe together. 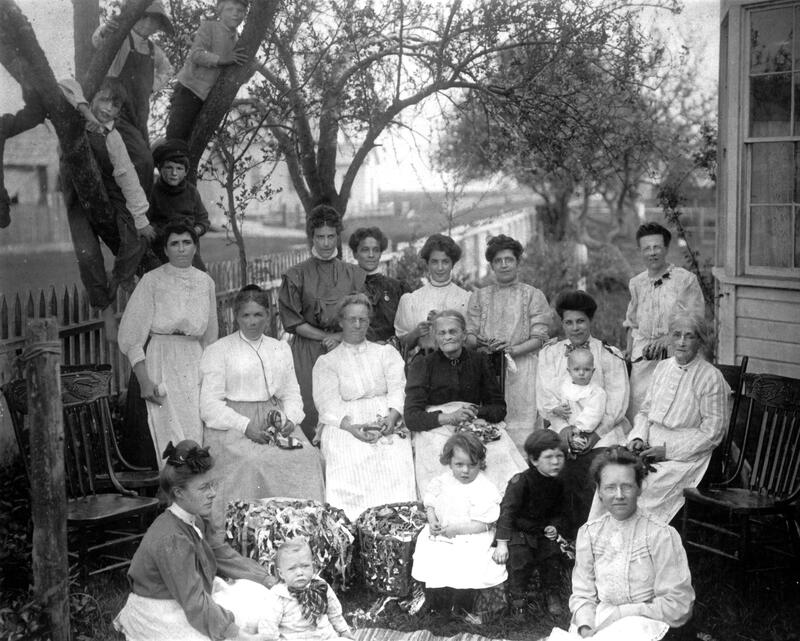 For eighteen years now, she and Ken and girls have lived in Austin, Texas, but they often vacation in the northwest and especially the Peninsula where Kay and her sisters came as children. Such a familiar story and one I never tire of hearing from Peninsula visitors! They were sitting at “the big table” and asked us to join them. An hour or so went by in nothing flat. At one point Kay snuck off to the book section and bought a copy of Dear Medora. As I autographed it, I suggested that they come over to “Medora’s house” for a quick tour – to make the book more meaningful! And the rest of the day floated by in a flurry of laughter and conversation and snippets of history. It was a lovely and unexpected way to spend a summer afternoon. And, over and over we all sang the praises of Adelaide’s where like-minded people are sure to meet! It’s definitely where it’s happening on the North End! My Aunt Medora died on January 19. 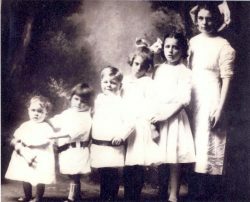 1916 – just thirteen days after her seventeenth birthday. It’s hard for me to realize that today marks the 115th anniversary of her birth. Like all those who die before their time, she will forever remain young. I can’t help wondering, though, what sort of adult she would have become. Would she have married? Would she have had a flock of children – cousins, somewhat older than I, for me to admire and look up to? Would she have been a doting aunt as was her younger sister Mona, the only one of my mother’s two sisters still alive when I was born? No, Dorothy and I haven’t quarreled, but I realize at last that she is not immoral but unmoral. I have half worshipped her all year but now, well, now I just don’t. I still love her, but she is no longer my ideal. I want to be good – no strong, for I know we are in the world for some purpose. Why not make the best of my opportunities. Each individual counts; even I count. I am looking forward to a home and children. Therefore I must educate myself to the best of my ability. My education will be valuable to my posterity. A girl is not useless; I am glad I am a woman. I don’t want to be married till I am twenty-five but oh! I will certainly adopt two youngsters if I am an old maid. These poor little motherless tots and then hundreds of old maids worrying and fussing because they have been cheated out of so much. Absurd! I don’t want to become famous, but I want to help my children to become honorable and useful citizens. So as they will inherit my traits, anything I don’t want my posterity to think, do, or say, I must overcome first. It is wonderful that I have it in me to help the world, to make it a little better. If I had continued to do everything with what will Dorothy say always in mind, I should have become worldly. This next year I am planning to study. Mother and Father will be so pleased if I really work hard. I shall not give up all social duties, but some. I want to attend church regularly, for though I believe in being broad-minded, we must serve our God faithfully on the day that He put aside for that purpose. I think Holland Huston, Ruth Connell and Mama are the ones who are stimulating my present views…. The following year, on October 13, 1915, she wrote again about her future but, this time, in a letter to her mother who was suffering some ongoing health problems: I firmly believe we are put in the world for some purpose and you have been faithful to yours and I shall live mine in single blessedness while I am making you and Papa comfortable. I’m sure I had no such thoughts when I was sweet sixteen. 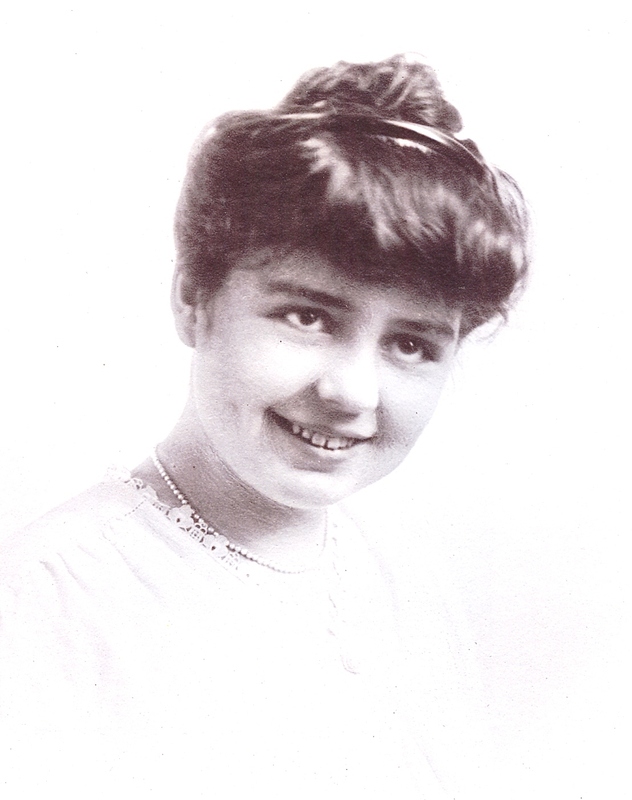 On her final birthday, January 3, 1916, she wrote: My seventeenth birthday. Why I am really becoming a young lady! I shall live this year cheerfully without any sentimental attachment awaiting my prince, and preparing for him. If in all the long years he never comes, I have lots to do for others. As it is, Medora will always remain ‘barely seventeen.’ I dearly wish she had lived a long life – long enough for me to know her in person. She’s been an inspiration, even so. Happy Birthday, Dear Medora! They flat out didn’t get it! 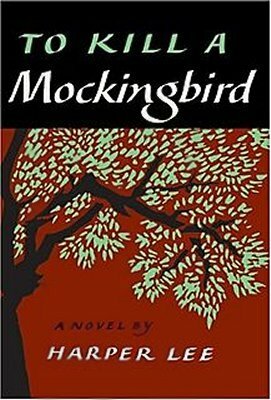 Doncha just hate it when you read a book and then see the movie and it’s wrong, wrong, wrong! Like what was the director thinking, anyway? 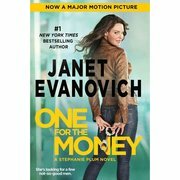 Case in point, we finally saw “One for the Money” the other night. What a total bust. 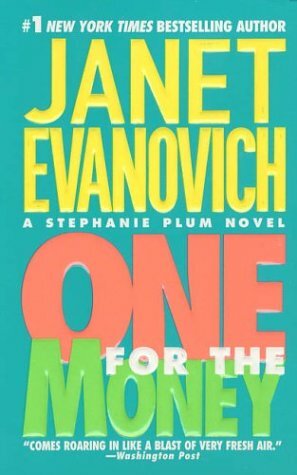 Hadn’t ANYONE connected with that production read any of Janet Evonovich’s Stephanie Plumb series? I love Stephanie Plumb. She is quirky, outrageous and above all funny. So is the cast of supporting characters – at least in the book. Next to Stephanie, Grandma Mazur is probably my second favorite and there is no way that Debbie Reynolds comes close. Too put together, too young, too not a grandmotherly type. And don’t get me started on Morelli or Ranger! Or Lula. Once again, I vowed that if I ever get a movie offer (yeah, like that’s going to happen), no matter for how much money, I will turn it down flat. It does occur to me, however, that in the case of Dear Medora (which I think would make a lovely film), my contract with the publisher might give them final say, not me. Oh well. I’m not likely to lose sleep over that remote eventuality! But back to the situation at hand. Another book series that has been translated into film – in this case a TV series – is Craig Johnson’s Longmire. We have thoroughly enjoyed those books but when we heard the author talk about the casting for the TV version our enthusiasm waned a bit. Johnson was speaking at a book signing in Portland just before the series aired last year, and we never have been able to wrap our head around his rationalization for Lou Diamond Phillips playing the part of Henry Standing Bear, also known as The Cheyenne Nation. No way. 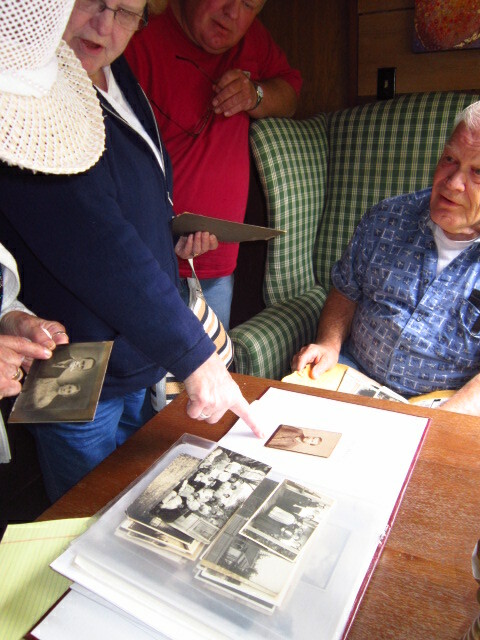 Yesterday at the Oysterville Store it was “old home week” for an hour or so. One branch of the Andrews family met another branch for the first time ever and I’m happy to report that I was instrumental in getting them together. Bert and Minnie Andrews, of course, were the ones who built the present Oysterville Store back in 1918. They were not the first of the family in town, though. Bert’s grandmother and his uncles Sam and Tom had been here since the turn of the century at least. Yesterday’s gathering came about because of a phone call I received some months ago from a woman in Aloha, Oregon who identified herself as Donna Godsel. I can’t remember how she came across my name, but she was interested in getting a specific item from the Oysterville Store – an item that former owners Jean and John Smith carried, but Greg does not. Amazingly, I was able to help her locate what she wanted, and in the process learned that she was the granddaughter of Sam Andrews who was Bert Andrews’ uncle. I found that she was very interested in Oysterville history, had been here years before, and was planning to come again in the summer with her brother and her son. Yesterday turned out to be the day. I suggested that we meet at the Oysterville Store because Donna was bringing “photographs and postcards” and I knew Greg would be interested. He is always on the lookout for Oysterville history, especially if it relates to the Andrews and the store. There were five in ‘their party’ plus Nyel and myself and Greg and customers somewhere in the periphery. Greg made coffee. I thought Charlotte Jacobs should be there so Greg made a phone call and went to fetch her. She is a grandchild of Bert and Minnie but, until yesterday the two family branches had never met and didn’t really know anything about each other. It was Old Home Week for sure! We were there for about an hour, gathered around their photo albums in the ‘back-behind’ of the store. Greg is a saint! 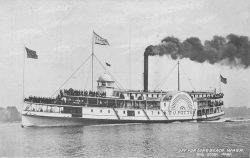 I don’t know that we were in any way good for business, but he was gracious and interested and asked only that we keep an eye out for photographs that will make good reproductions of historic postcards. Donna and I concluded that we would have to do this again – perhaps at our house where we could really spread out and compare photos, jot down dates, use the scanner, etc. After lunch I went up to Mary Sam’s and sewed up those two aprons and made some doll clothes for Sue and Mona. Came back at 2:45 and was glad to get home. She makes me sick. I get so tired of having her complain about Edwin doing this or that to Vernon. Even so, there are familiar faces – “kids” I’ve known in the community, sons and daughters of friends, young men and women whose Senior Project presentations I judged not so many days ago. Some of these young people are already beginning to take their places in the work force of the community. … Oh I had such a wonderful time last night. Why? Oh can’t you guess? Two dances with Alec and he wanted to take me for a ride during the 5th and 6th dances. I certainly had the most wonderful evening. I am so glad I gave Harry Stevens a bid for the prom or I wouldn’t have gone to this wonderful dance. I can hardly realize that I, an Oystervillian, am considered by the newspapers a subdebutante. Medora Espy was ‘sweet sixteen’ and a junior at Portland Academy when she wrote these buoyant words. Although she was already giving some thought to her future (perhaps a librarian or a teacher…), the thought of graduation was still a hazy one. And, as it turned out, she didn’t live to see that landmark day arrive. Still, through that diary entry, Medora’s words seem to forever capture the wonder, the anticipation, the excitement of being on the cusp of adulthood. (Did we all enjoy that time of our lives enough? Do our current graduates even have a glimmer?) Meanwhile… Congratulations, graduates, and may all your Junes be filled with promise and anticipation! Is it ever too late to eat crow? The other day Nyel came home from Physical Therapy with the news that there is another writer ‘out there’ named Sydney Stevens who lives in either California or somewhere on the East Coast. A friend of Victoria’s (the Queen of PT on the Long Beach Peninsula) is reading a book by her (or possibly, him). 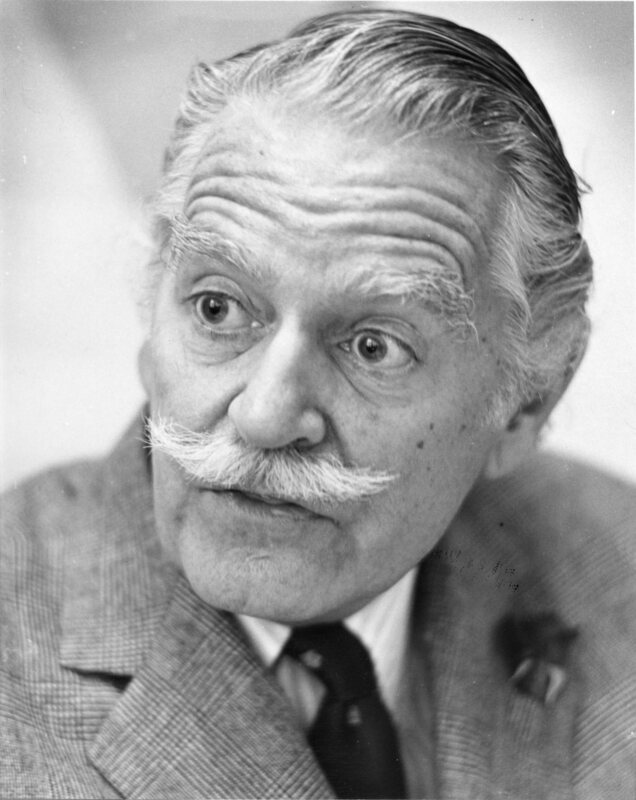 So, I Googled Sydney (and Sidney) Stevens (and Stephens) in various combinations, but didn’t come up with the right (write) person. There are several of us who share this name and who surface when Googled – among them a singer from Los Angeles, a physician from Palm Desert – but no other writer that I could find. It is the “teenagers” comment that strikes a resounding chord for me. 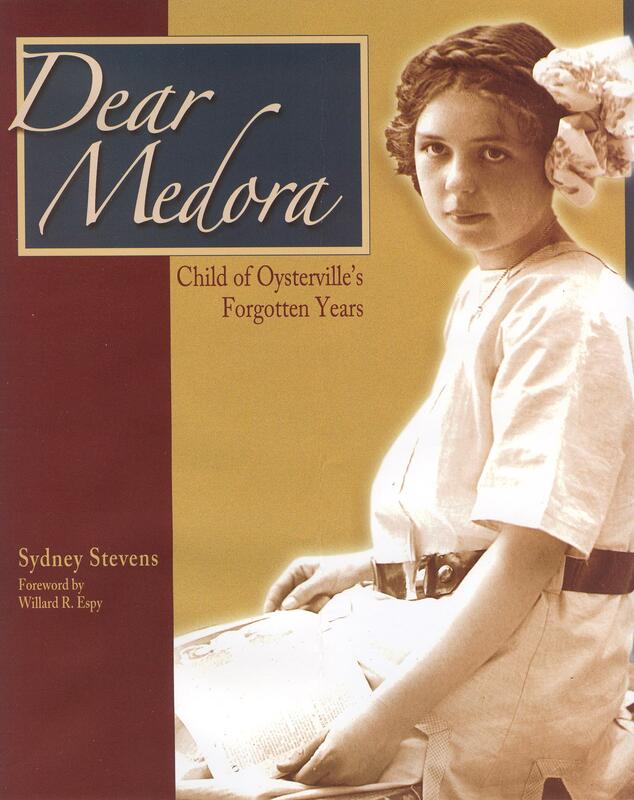 When WSU Press was planning their initial marketing strategy for Dear Medora, they suggested that it should be presented as a book for Teens or Young Adults. I adamantly (and, in retrospect, no doubt wrongly) insisted that it be marketed for the general reading public. Dear Medora has been anything but a run-away best seller. I wonder if things might have been different if I hadn’t been so headstrong. And is it way too late to be eating crow? Yesterday’s mail brought the unwelcome news that my book about Willard Espy “in its current form is not one that fits the current WSU Press publishing goals.” The letter, while disappointing in the extreme, contained good news as well as bad. Or at least it seemed so to me. Editor Robert Clark went on to say, “What you have given us is a charming, personal history of the Espy family and the town of Oysterville, with Willard at the center of the story.” YES! I’m so glad they ‘got’ that! That was the point of the book. In fact, Mr. Clark’s description is a very succinct version of what I, myself, had written in my initial proposal to WSU Press: “Espy’s Own: Willard of Oysterville” is part biography, part memoir, part recollection and part historical narrative. It is the story of author Willard Richardson Espy’s relationship to Oysterville, the tiny southwest Washington village where he grew up in the early decades of the twentieth century and where he was to spend many of the most important intervals of his next 88 years. 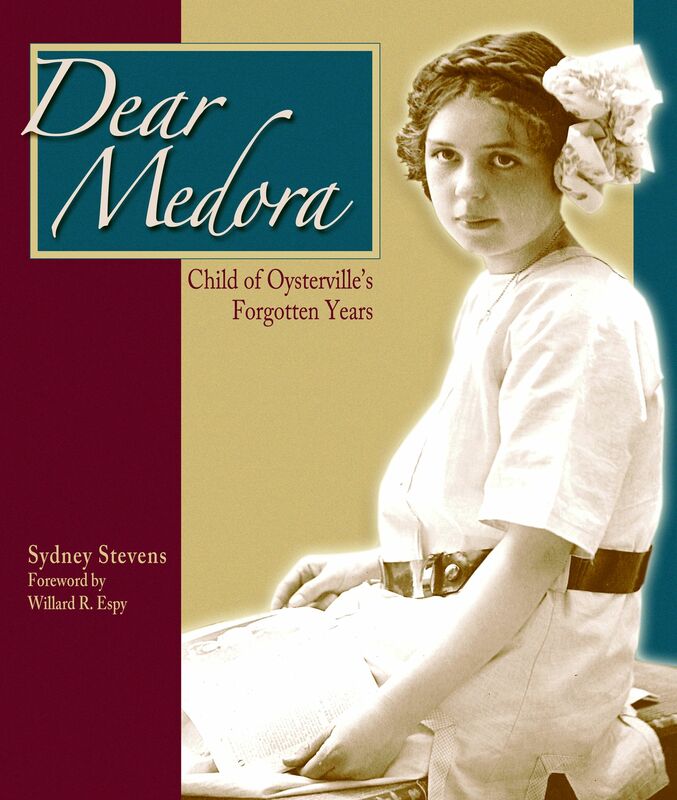 My intent (and the main reason for submitting the book to this particular publisher) was to write Willard’s biography in such a way that it would become a companion piece to Dear Medora: Child of Oysterville’s Forgotten Years. 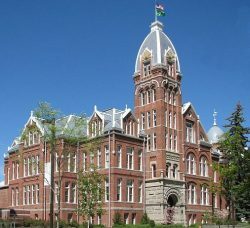 That book was published by WSU Press in 2007. Unfortunately, it has sold sparingly; it hasn’t flown off the shelves. It is definitely a “niche book” and, no doubt, was an unusual choice for an academic press. Perhaps the fact that they had a different editor then had bearing on that decision. Of course, the bottom line is money. If Dear Medora had made more money for them… If marketing and distribution weren’t so spendy… If I had the financial ability to self-publish a book with the look and feel I envision… Or, I could bite the bullet and rewrite.